Lyft Releases an Economic Impact Report - The Results May Surprise You! It’s no secret that Uber and Lyft have changed the way people travel. It has become the most convenient and reliable method of transportation (at least compared to public transit), and can be an ecofriendly alternative to owning a personal vehicle. This shift in usage has had an impact on many things – including increasing traffic congestion in cities, the restaurant business, and more. Another line of business being impacted by on-demand rideshares are airports. Airports get a lot of their revenue from airlines that they support, but they also receive a large amount of revenue through the rental car services that operate in the airport as well as parking for travelers who pay to leave their car while they travel. Some airports even had to hire additional staff to monitor the rideshare pickup stations and direct passengers. This is especially prevalent for business travelers who use Uber and Lyft business accounts for corporate travel and later get reimbursed for the fare. Rideshares are a much more convenient options for these travelers who do not want to pay to leave their car. And, with that, the amount of travel done for business using rideshares has increased dramatically over the past few years. According to airport managers, the existence of rideshare companies has caused parking revenue to fall short of forecasts by more than 10% per year. Airports are aware that the rideshares are the problem – but it is a complicated game to ban companies like Uber and Lyft from operating at airports. Most of the time, drivers find ways around the airport’s rules and pick up passengers anyways, without having to pay the airport as they would if they were officially allowed to operate. Unsurprisingly, there has also been a decrease in the number of taxis taken to the airport. Airports make more money off private vehicles and taxis than they do for rideshares, since they take a higher fee. Some airports have considered increasing the fee required for Uber and Lyft to operate, but in most cases the companies would require the passenger to pay the additional cost, which may hurt business. Uber has ceased to operate at certain airports for this reason. Some other fears are the impact of self-driving cars, they will be able to drop off passengers and drive themselves back home, removing the need for parking AND the need for an Uber or Lyft. Self-driving cars are not a current threat to airports, but they are definitely something to look out for in the next few years as autonomous vehicles start to be sold to households. 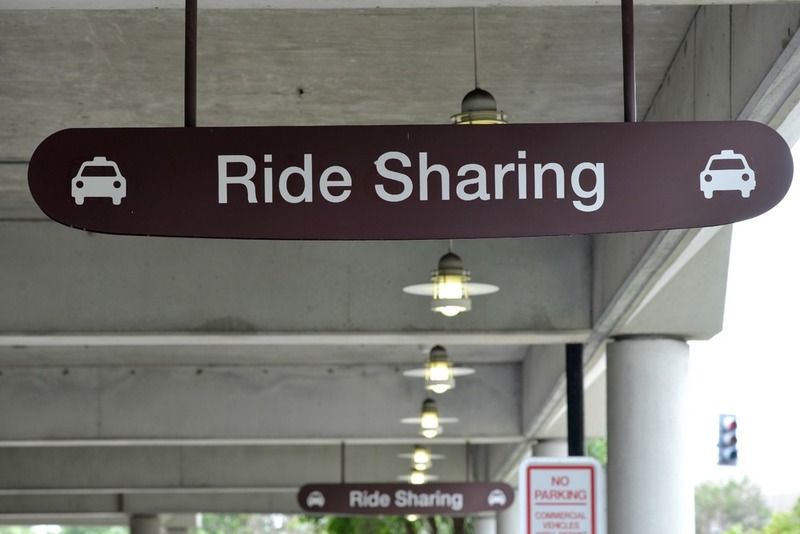 Local governments are also concerned about the threats that rideshare services pose, so they have spent time promoting the use of public transportation as an alternative to rideshares. Some airports make it difficult to walk to the airport pickup area, with hopes that passengers might take an alternative route. Passengers will not be so quick to adopt to this, however, because many people value the convenience and ease-of-use of rideshares compared to public transportation which can often be unpredictable.